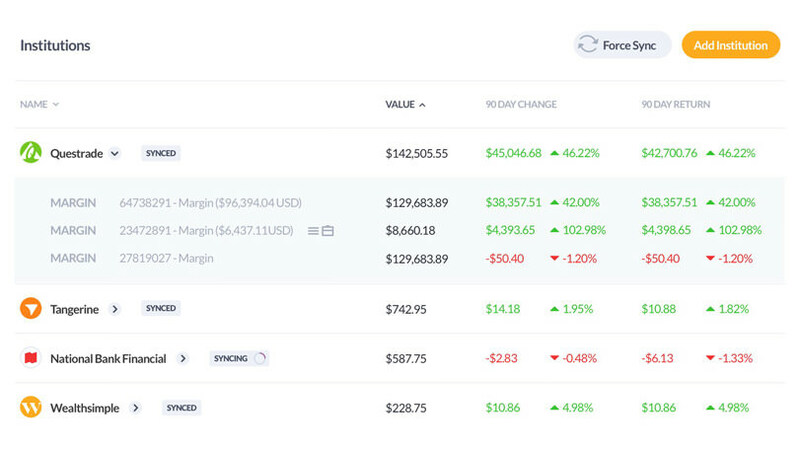 See all your investments in one place, automatically updated each day. It was becoming difficult to track assets balances across multiple institutions manually. Wealthica provides a better picture of my investments with less work. I was using Personal Capital but had to manually changes asset and share price. So it was not a good option. I’m glad I found the Canadian alternative. Been using your product for half a day and it’s awesome and useful. I’ve been waiting a long time for this. Before, I was just tracking on Excel. In addition to being read-only, Wealthica offers a Two-Factor Authentication and uses bank-level security to consolidate all your investment portfolios in a single dashboard. Investment fees quickly add up. Management fee, transaction fee, custodian fee. 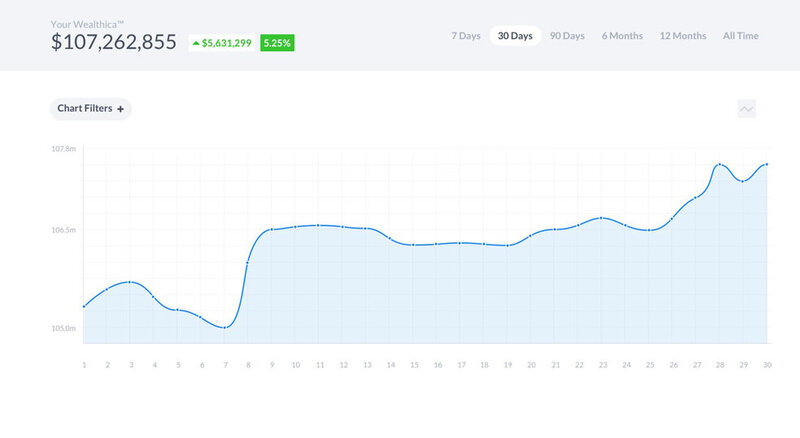 Wealthica allows you to analyze and track how fees will affect your portfolio performance over time. Delight family members with a family online dashboard. Create groups and track what events impacted the family’s net worth or investment performance by adding notes and reminders. No need to browse through multiple accounts to get access to your transactions history. Wealthica gives you a consolidated view of your accounts and notifies you when there are new transactions. Put your advisers to work by having them focus on the whole picture. Compare your advisor's performance with robo-investing or your self-managed account. Give robo-advisors a try and compare them with other financial institutions or financial advisor without losing track of your whole investment portfolio strategy. Get real-time snapshots of all your financial accounts, recent transactions, portfolio holdings and account details in one place. Whether you are a small investor, a wealthy millionaire or a family office, Wealthica effortlessly tells you what is going on with your money. Try it now for free! Wealthica powers Hardbacon, also offered as a benefit to Desjardins Online Brokerage users. Equisoft WealthElements offers financial institutions and advisors integrations with Wealthica. ShareAlpha offers Quantitative Stock Discovery Tools. It is available as an add-on within Wealthica. We are a team of passionate entrepreneurs and developers who want to make automatic investments consolidation a reality. Learn more about us or tell us how we can ease your investment consolidation pain? © 2015-2019 Wealthica Financial Technology Inc.